Your kitchen cabinets are the focal point of your kitchen. Matching your kitchen’s tables, counters and shelves, they are one of the only ways in which you can remodel your kitchen to really match your personality. For your benefit, A & R Renovations Inc. now offers custom kitchen cabinetry for all occasions. 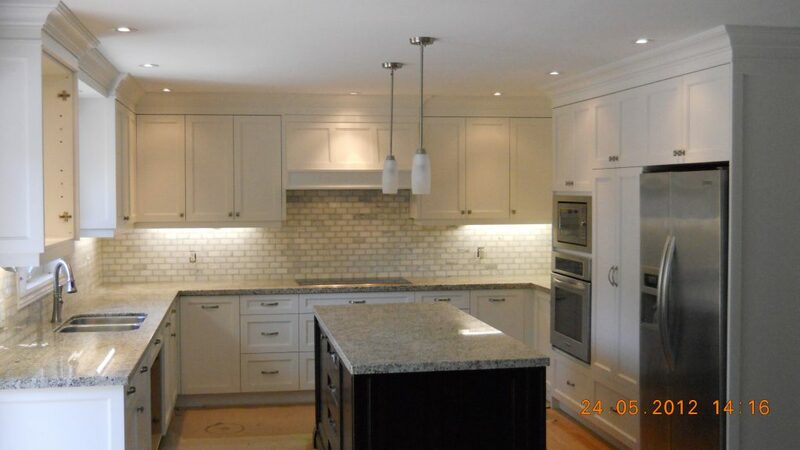 Similarly, we offer custom kitchen remodelling and renovations. Our company specialises in creating customized, gorgeous interiors built with the intentions of the client in mind, meaning we take time to work with you to create the perfect kitchen for your needs and purposes. Custom kitchen cabinets and kitchens are made by hand, by skilled carpenters instead of assembly lines. This means they are custom tailored to fit your kitchen, and are made of higher quality materials designed to last. Your individual appliances and fixtures are then bought to suit exactly your family and home’s needs. Joints, corner braces, drawer slides and more all built to match your kitchen interior and not the other way around. Instead of being limited by the product availability, you are provided with a personal selection of customized components made to fit your needs. Stock cabinetry and countertop is made in an assembly line in batches at different times and often results in non-matching materials and finishes. Custom cabinetry is made per order with hand selected woods and is all finished at the same time. Your kitchen countertops, flooring and so on function the exact same way. If you are concerned with the origins of the materials selected to build your custom kitchen, you may immediately see the benefit of a custom kitchen renovation. Instead of buying stock items from hardware stores, you are being provided with locally sourced materials and higher quality fixtures than the ones you generally see in hardware and appliance stores throughout Canada. Not only does this mean better quality products for you, it also means supporting local producers. 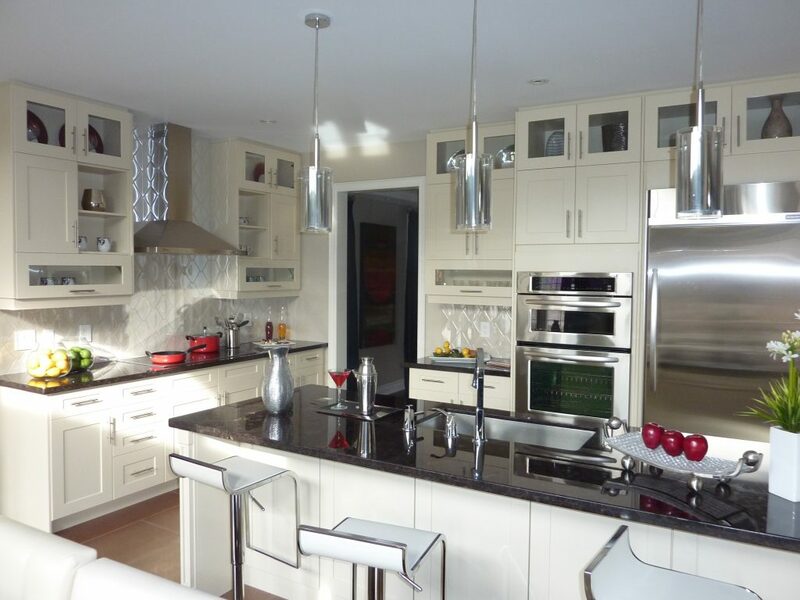 A & R Renovations Inc. is a company which provides custom renovation and remodelling services throughout the GTA for all kitchens, bathrooms, bedrooms and more. We offer home additions, basement finishing and complete custom home renovation and remodelling services, with comprehensive design and construction. In addition, we offer custom cabinetry for kitchens and bathrooms. Custom cabinetry is a means of getting the most out of your home, and allows you to not only overall increase the value of your home but also make your kitchen a one-of-a-kind work of art. Take a moment to look at our company’s gallery to view the various ways in which custom cabinetry can be incorporated into your kitchen renovation today. Our company, A & R Renovations Inc. specializes in home construction and renovations, including home and commercial additions and remodels. 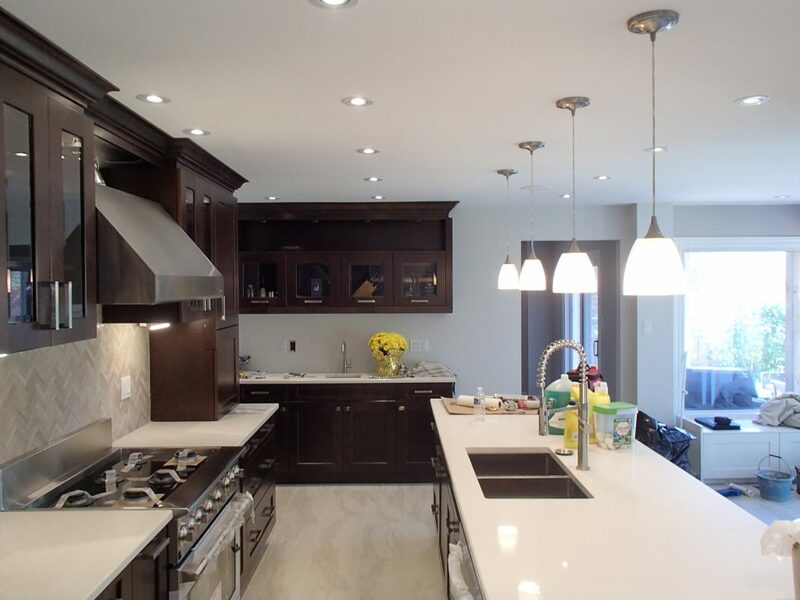 We are your number one choice for all forms of renovations within the Greater Toronto Area, and we have served this location for over 20 years. We specialize in bathroom, basement and kitchen renovations, but are completely versed in all manners of renovations and remodelling, offering commercial and residential services. We serve our clients with enthusiasm, professionalism and integrity, offering trustworthy skills and reliable staff. As we focus on a single project at a time, we are able to offer our clients unparalleled customer service and unique, one on one design. In this way we are able to devote all of our attention into single project, eliminating distractions and channeling all of our enthusiasm into a single customer’s job. Offering a 1 year limited warranty, we ensure that all of our work is done to your complete and utter satisfaction. We guarantee your 100% satisfaction in all of the GTA, including, Markham, Vaughan, Brampton, Mississauga, Richmond Hill, North York, and other locations throughout. Please visit our website or take a look at our project gallery for more information about what we can do for you and your home today. Call us today for a free consultation at: 416-677-9316. We are always happy to answer any and all of your questions regarding our services.